Backed by the profound industry experience, we are presenting Cranes. Under this category, we offer our clients a wide assortment of EOT Cranes, HOT Cranes, Gantry Cranes and JIB Cranes. These cranes allow safe & efficient lifting & shifting heavy material load in places such as factories, workshops and warehouses. Before the end delivery, these cranes are thoroughly checked by the quality analyzers on varied parameters to ensure their flawlessness. Span, Lifting Height, Speed – as per customer specifications. Single girder, double girder Innovation is our forte and we strive to design and develop HOT Cranes. These are designed and developed by the experts following international standards. 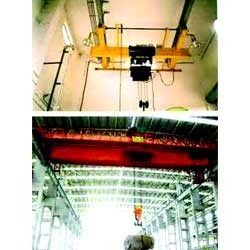 The offered cranes are widely used for lifting heavy weight goods and loading to vehicles. In order to meet the customers' needs, we offer service and maintenance works of these cranes. Advanced technology and qualitative raw material are widely used in manufacturing these Gantry Cranes. All these cranes conform their accordance with the international standards. 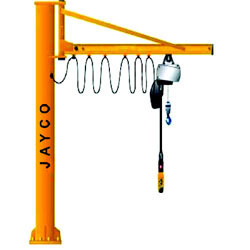 Moreover, these are suitable for lifting heavy weight goods and loading to vehicles. The offered cranes run on rails installed at ground level. JIB Cranes comes with easily Rotating Arm with 180º or 360º of rotation. 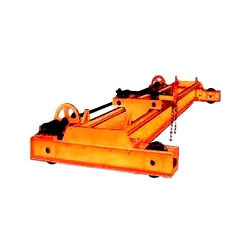 This rotating Arm is either mounted on wall, self supporting floor mounted coloumn or pillar supports Jib Cranes are useful for loading or unloading material on machine tools & trucks. ARM Redius – Approx 8 mtrs. Rotation – Manually by hand on motorized rotation. 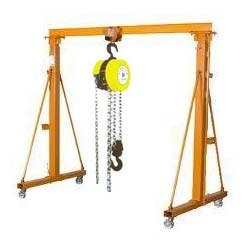 Lifting – by CPB or Electrically operated Hoist.